These are some photos from the 9th International Modelica Conference, in Fürstenfeldbruck near Munich Germany. The conference was held at the Veranstaltungsforum Fürstenfeld, a former monastery. 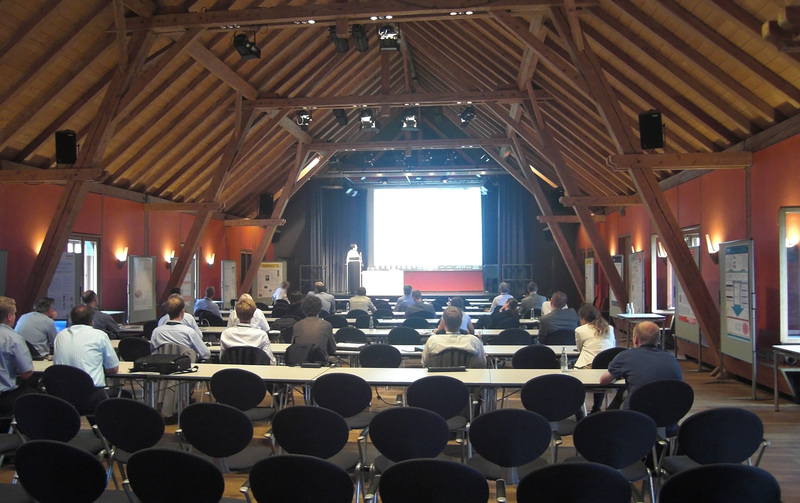 These photos are primarily of the venue, not of the conference itself. Click on any image to see it larger. Right click and use Save As to get the full-sized images (most are at least 1800 pixels wide or high, some are smaller, some are larger). All images were taken using a hand held Casio EX-Z200 pocket camera. Panoramas were assembled using AutoStitch. 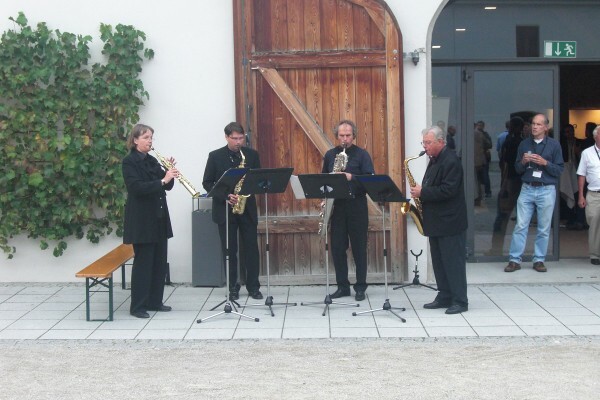 A short opening concert was performed by the Abo Sax quartet from the Akademische Blasorchester München (Munich Academic Wind Orchestra). One of the pieces played was Paul McCartney’s “When I’m Sixty-Four”, which I then had running through my head for the entire conference. 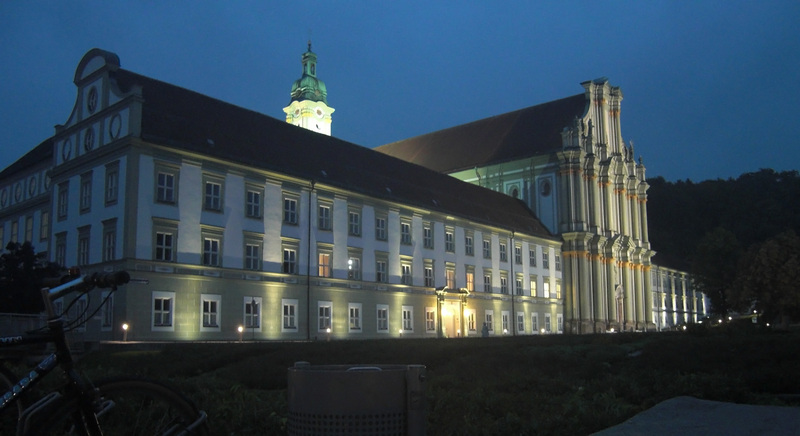 A night time view of the original monastery and church on which the conference venue was built. 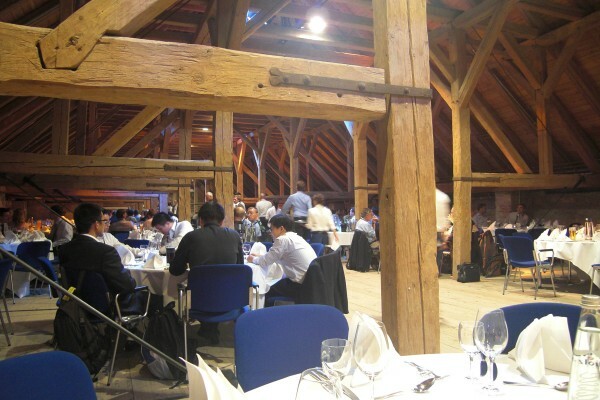 The conference dinner was held in the loft of one of the venue’s buildings. It felt like an old barn, but without the cobwebs. 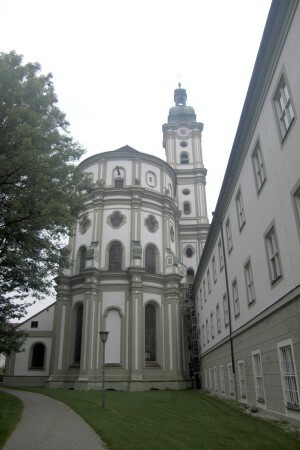 This is the church attached to the monastery, as seen from the conference area. The churched framed by an archway. An approximately 180° panoramic photo of the church and monastery, assembled from six separate images. A panorama of the venue grounds, assembled from eight separate images. 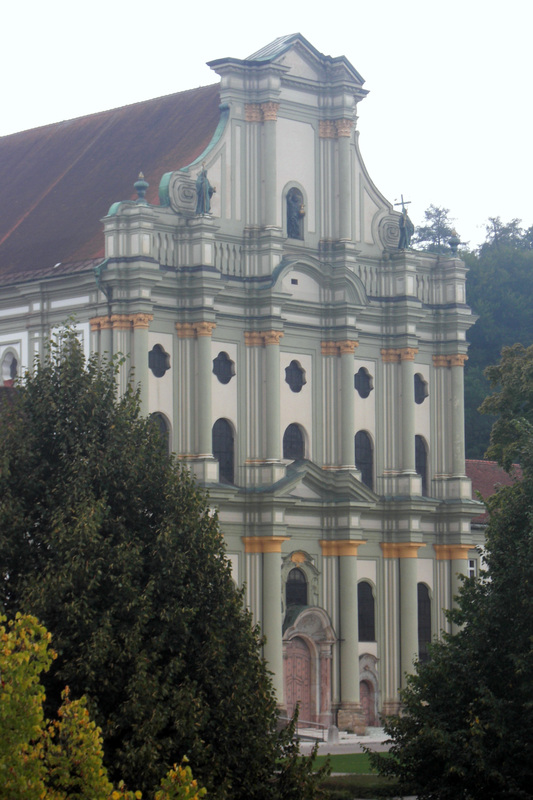 Another venue panorama, made from seven images taken from the balcony of the Kleiner Saal. The interior of the church. This images is a vertical panorama assembled from two images taken from the entrance area. 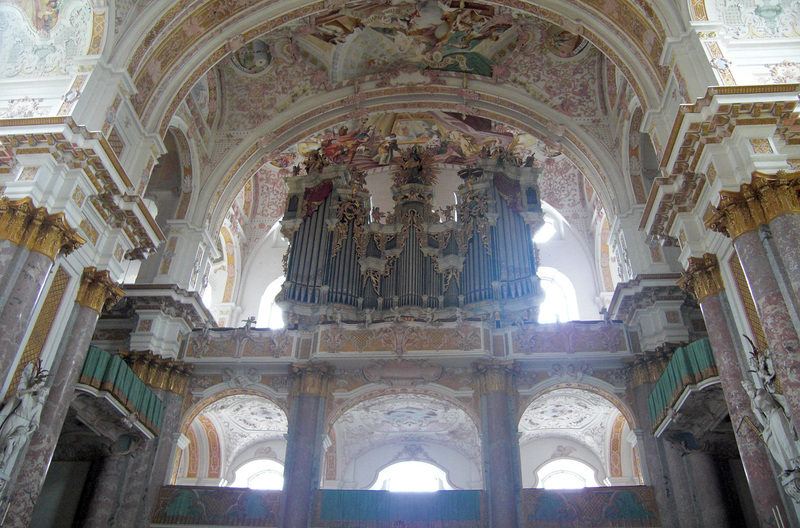 The church organ, installed over the entrance area. Unfortunately, I missed an opportunity to hear it being played. 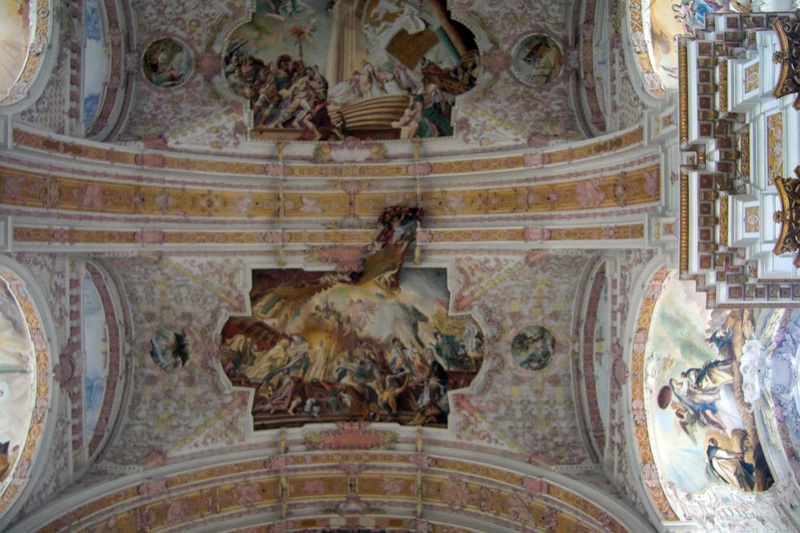 A small part of the church ceiling. Mirrored tables were installed so visitors could admire it without getting stiff necks. 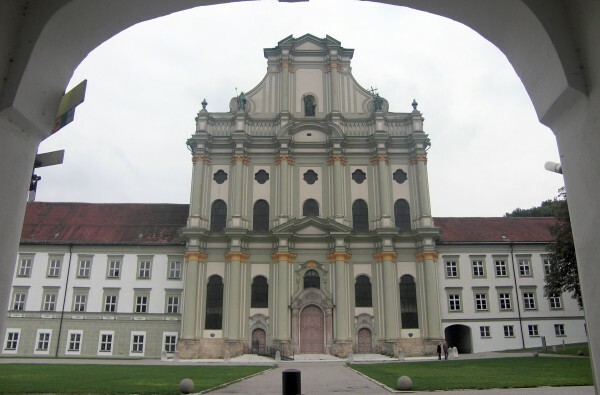 One morning I walked through the forest to reach the venue, and came out behind the monastery. A study/relaxation room just off of the main lecture hall. 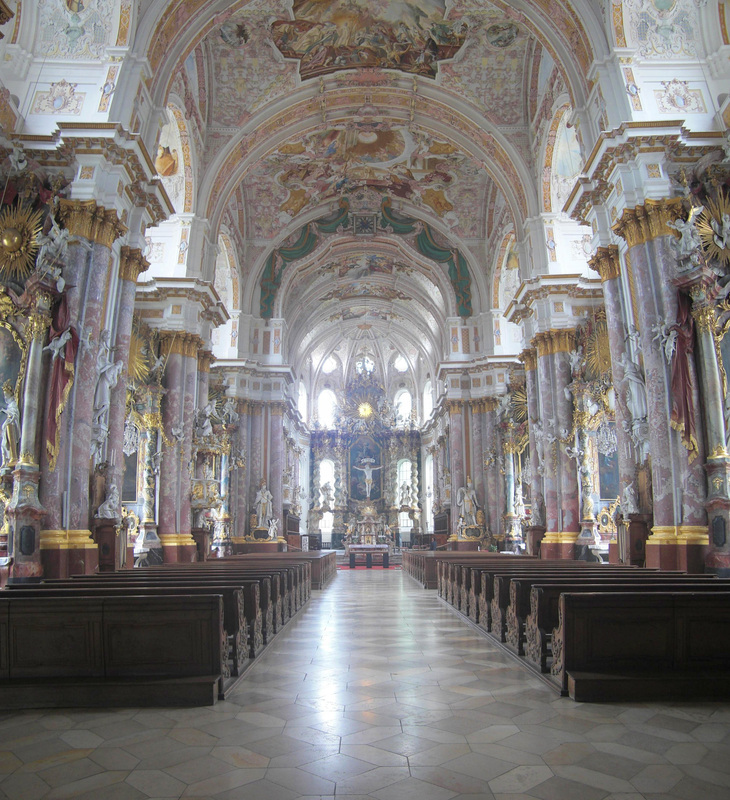 This image is a panorama assembled from five parts. The Maplesoft vendor session for MapleSim, given in the Kleiner Saal (small hall). A panorama of the covered courtyard separating terminals 1 and 2 of Munich’s Franz Josef Strauss International Airport. Assembled from seven separate photos.